A car accident is something no one ever wants to experience. 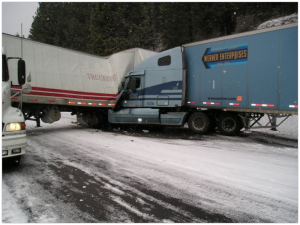 Especially in the case of motor vehicle accidents involved a big truck or semi, the amount of force and injuries involved can be catastrophic. With truck drivers making up 3.5 million of the U.S. drivers on the road in 2016, it’s no surprise that fatal truck accidents are also on the rise. 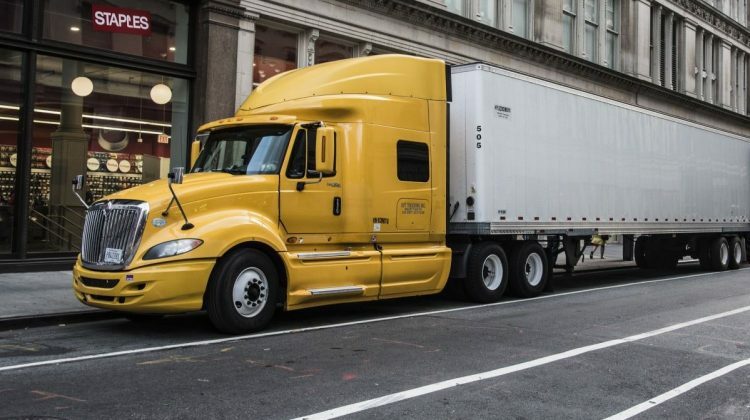 Trucks are used as a pivotal transporting, delivering 68% of all goods in the U.S. and driving about 140 billion miles a year. Truck drivers have to go through extensive training in order to obtain the certifications they need to conduct a semi or big rig. However, several factors still leave truck accidents accounting for 10% of all fatal motor-vehicle accidents each year. It’s important to know that there is a lot a driver who’s sharing the road with a truck can do in order to avoid an accident. 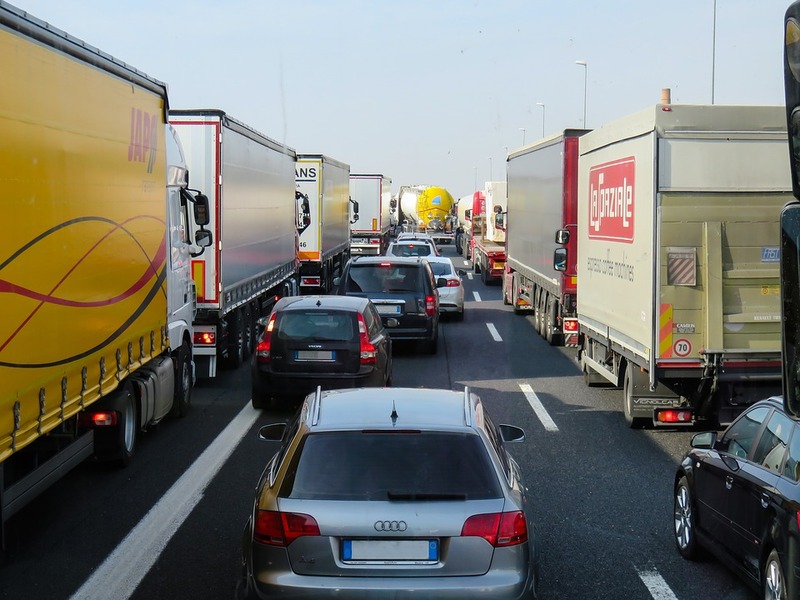 We’ve shared eight of the most useful tips in avoiding trucking accidents below. An average big-rig weighs anywhere between 12,000 to 80,000 pounds. No matter how well-maintained brakes and truck is, the amount of time it takes to stop in one of these motor vehicles is more than the average car. Leaving enough space will ensure they, and you, have enough time to react. Other than behind illegal in most places, doing this puts you at grave risk for an accident. Trucks typically have larger blind spots on the right side that can easily blur the vision of an average-sized car. 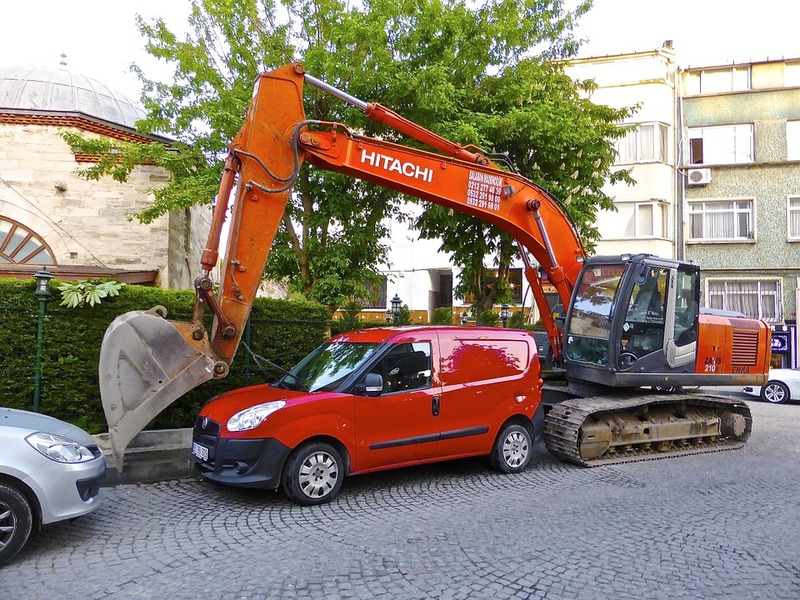 Building off of point 2, it’s never a good idea to make an abrupt halt in front of a few-thousand-pound vehicle. Sometimes you don’t always have the choice, and that’s ok. But if you can avoid it by leaving enough distance from the car in front and behind you, as well as not cutting them off, you’ll ensure a safer experience. 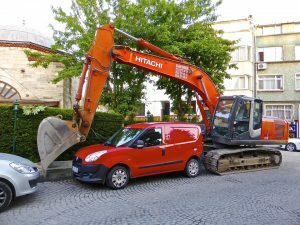 More for you than the truck, you want to avoid putting a truck in a tight space. If worse comes to worst, your vehicle will most likely obtain more damage than the truck so it is wise to give a few feet of distance just in case. Trucks have bigger blind spots than average vehicles. This one may have seemed obvious but it’s easy to forget when on the road that the big truck in the way may not see you in that moment at all. If you have a doubt about whether or not you’re in their vision, it’s more than likely you’re not. Don’t make quick maneuvers thinking you’ll get in front or swerve behind them in time. Many have made this mistake and have ended up in catastrophic accidents. 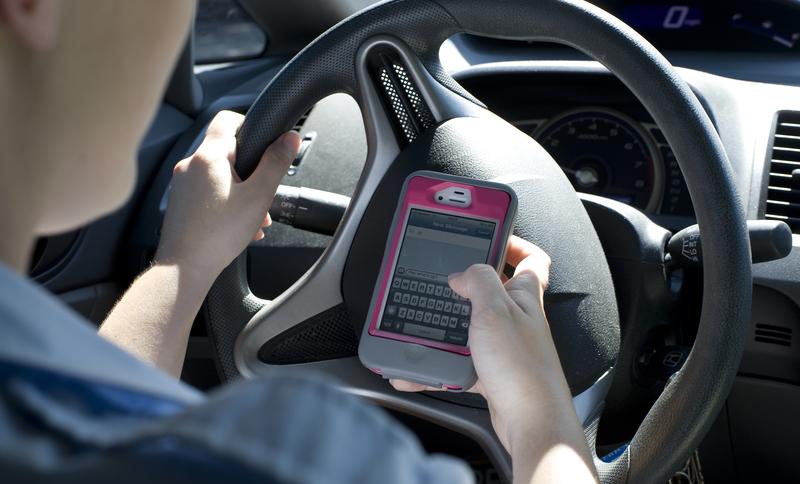 Texting or being on your phone while driving is never a good idea. Even when it’s become a habit to keep it in hand, taking your eyes of the road can be the difference between life and death. That’s not to over-dramatize, either. In 2015, 10% of all road fatalities were attributed to a driver distracted by their phone. A lot of people cringe at the idea of letting a big rig get in the front of them on the highway. Known for traveling notoriously slow at times, it can be a daunting idea to let them in and snail behind them. But to avoid doing can be dangerous. Trying to speed up to get passed them has been the cause of severe accidents. Avoid the unnecessary harm and let them in. No, it’s not because of that torturous scene from Final Destination. Due to their size, trucks take up most of their designated driving lane. Driving between one can narrow your space. 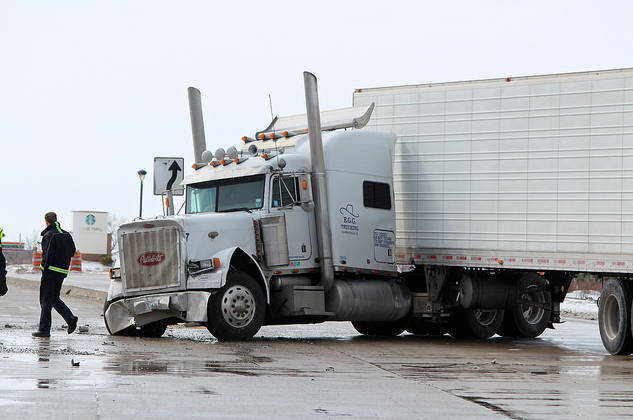 While you’re supposed to drive within your own lane at all times, placing yourself in between two large semi-trucks can leave your vehicle vulnerable and boxed in, with little opportunity to react. If you’ve gotten into an accident with a semi, or trailer-truck, it’s important to first seek help and then the advice of an attorney who specializes in trucking accidents. Lost wages, medical bills, and trauma are all things you are entitled to seek compensation for. For more information on how you can be a defensive driver against motor-vehicle accidents, visit the National Safety Council’s Defensive Driving Safety Taining.